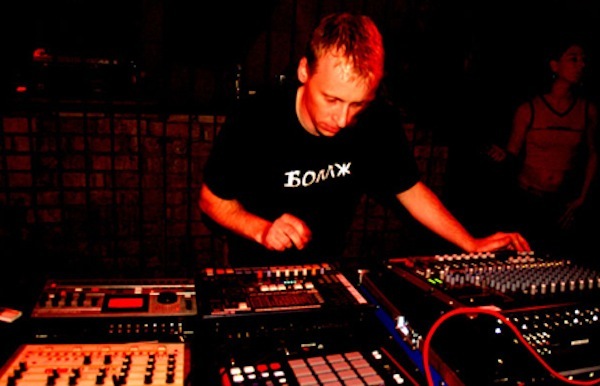 Stefan Küchenmeister made his mark as DJ in the midnineties, both in his hometown Kassel as an Aufschwung Ost/Stammheim-resident and in Berlin-clubs like Tresor, Suicide or Electric Ballroom. Since 1999 Küchenmeister mainly published as producer for the Toktok-universe [V-Records, Zokzok, Toktok-Records], complementing with EPs and released on the label Hörspielmusik [Stammheim surrounding]. On the wheels of steel Küchenmeister is meanwhile well known from Russia to Japan, but he is also a wizard when it comes to knob twiddling. His last album was Anti Age on Bomzh / Toktok Records. This entry was posted in Krautok 2008 : Artists, Krautok 2009: Artists, Krautok 2010: Artists, Krautok 2011: ADF, Krautok 2011: Artists, Krautok 2012: Artists, LIVE ACTS and tagged Anti Age, Krautok 2006, Krautok 2007: Tresor, Krautok 2008, Krautok 2009, Krautok 2010, Krautok 2011, krautok 2012, Küchenmeister, Toktok, Toktok Records, tresor, Zokzok. Bookmark the permalink.